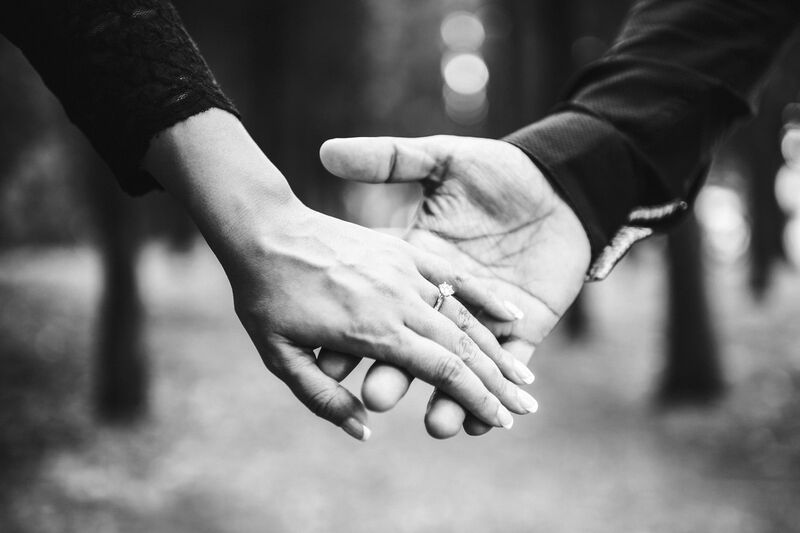 Proposing to your girlfriend feels like the most natural yet complicated thing ever – doesn’t it? 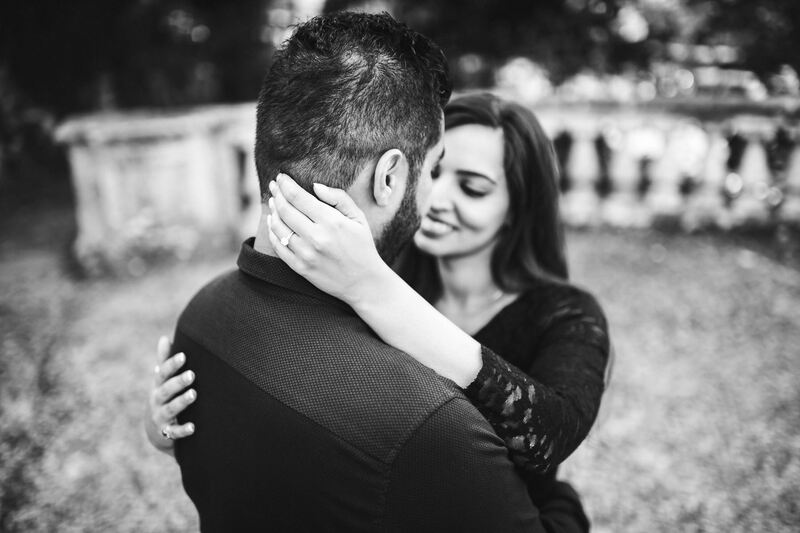 You know that love is all that matters and she’s going to be happy even if you kneel down in the living room… but you don’t want her to be just happy: you want her to be amazed! 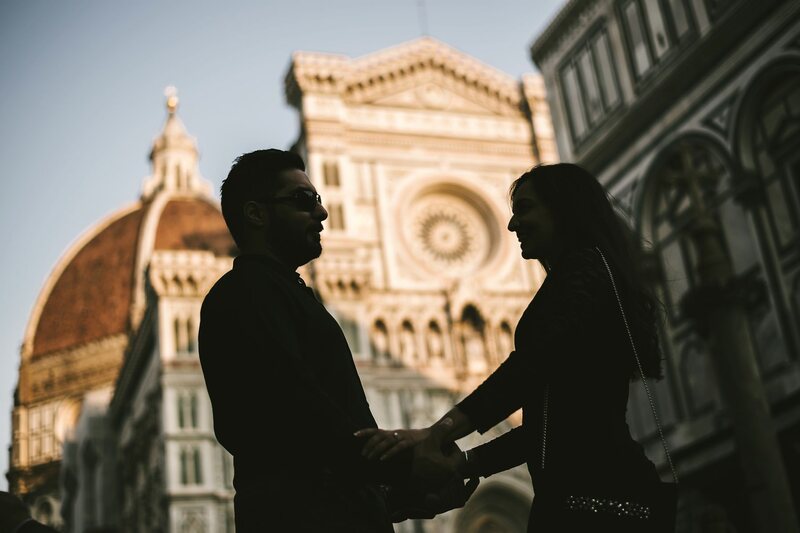 So what about a surprise wedding proposal in a charming city like Florence? 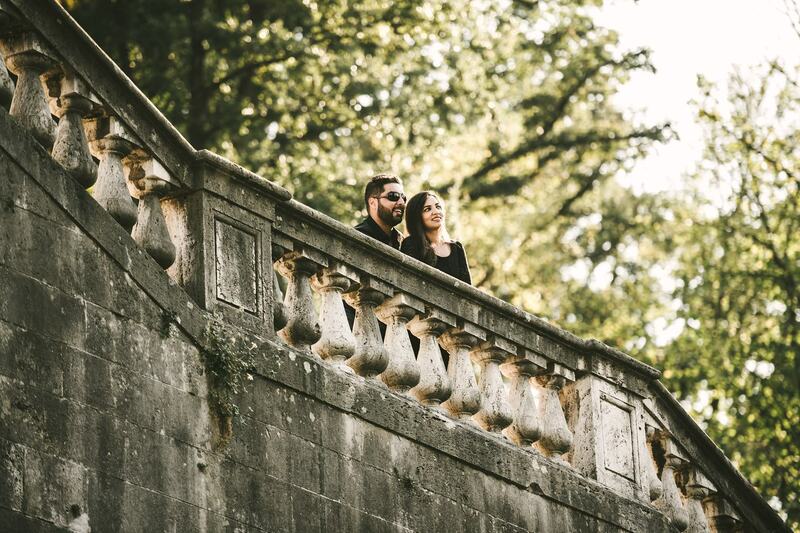 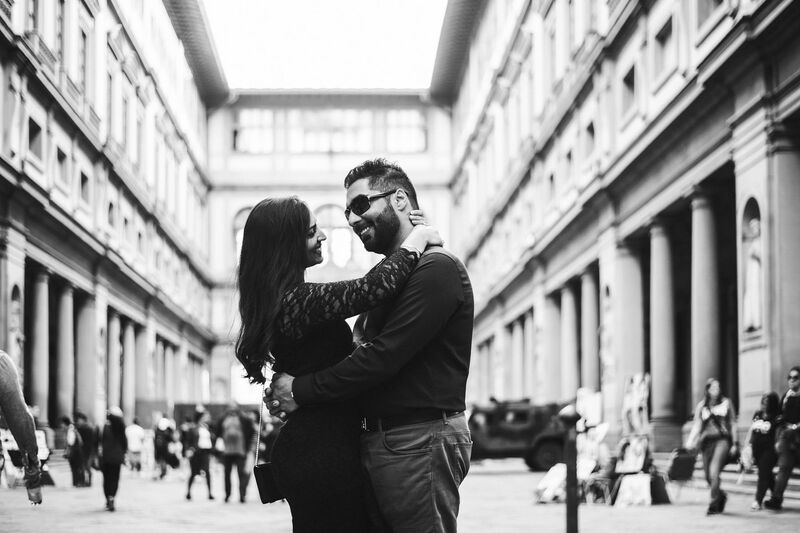 Gurpreet and Pavan are a sweet couple from London that was planning a well deserved holiday in Florence. 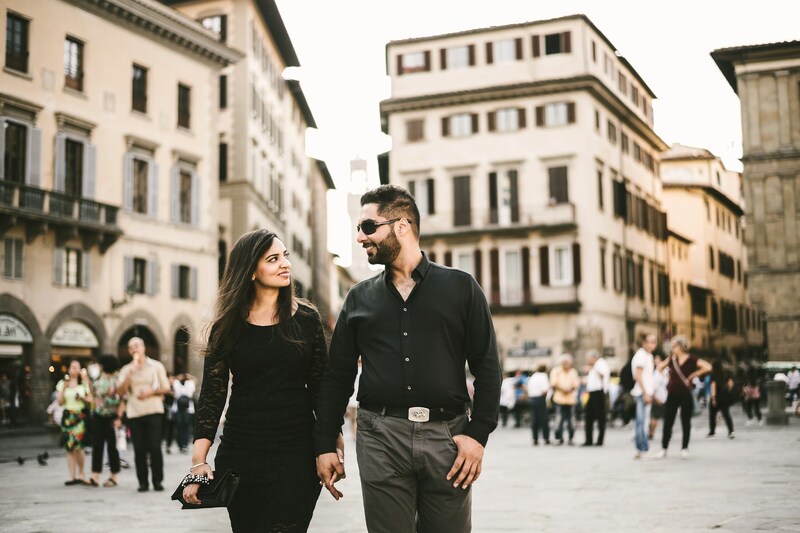 At least: that’s what Gurpreet thought – and she was already pretty excited, since she had never been there before! 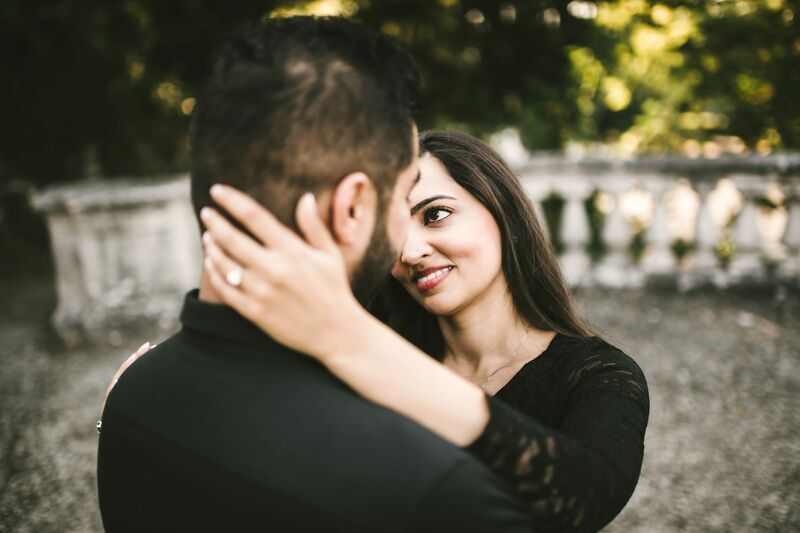 Pavan, though, wanted to take the trip to a whole new level, thanks to a surprise wedding proposal to prove her the depth of his love. 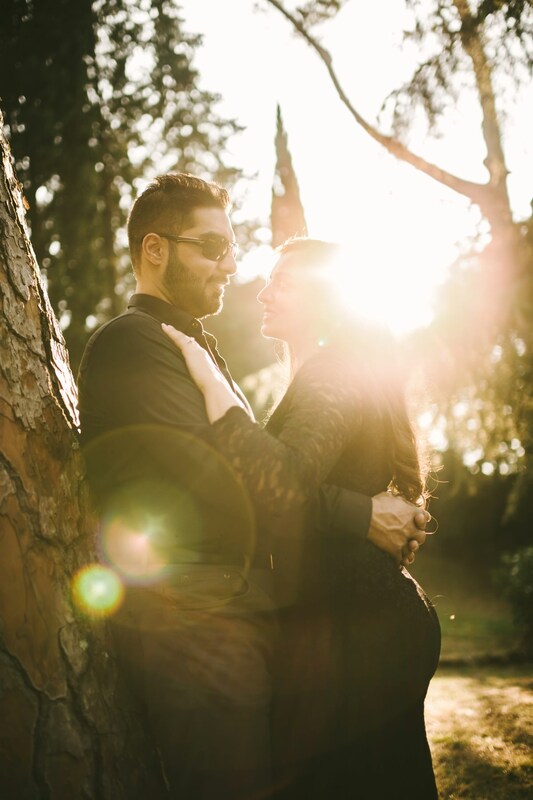 He actually imagined that his fiancée could foresee what he had in mind, so he decided to add a surprise to the surprise: that’s why he contacted me! 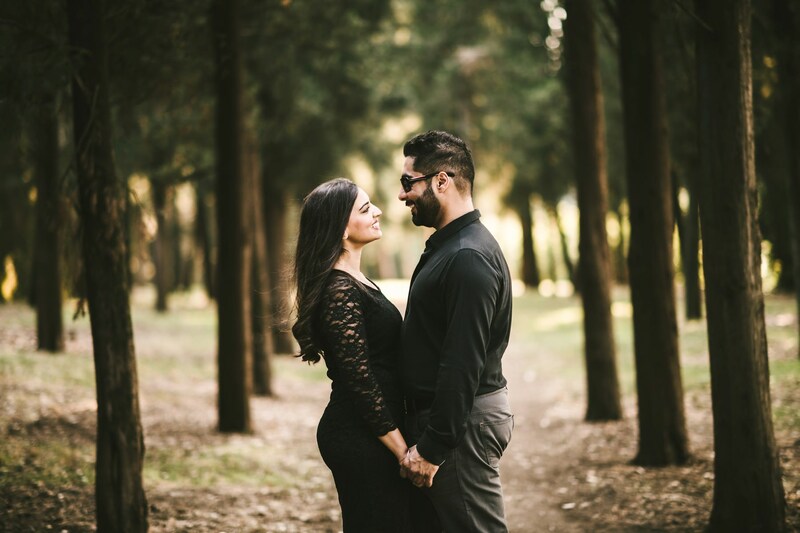 We talked privately to set everything up and make sure the surprise wedding proposal would go smooth. 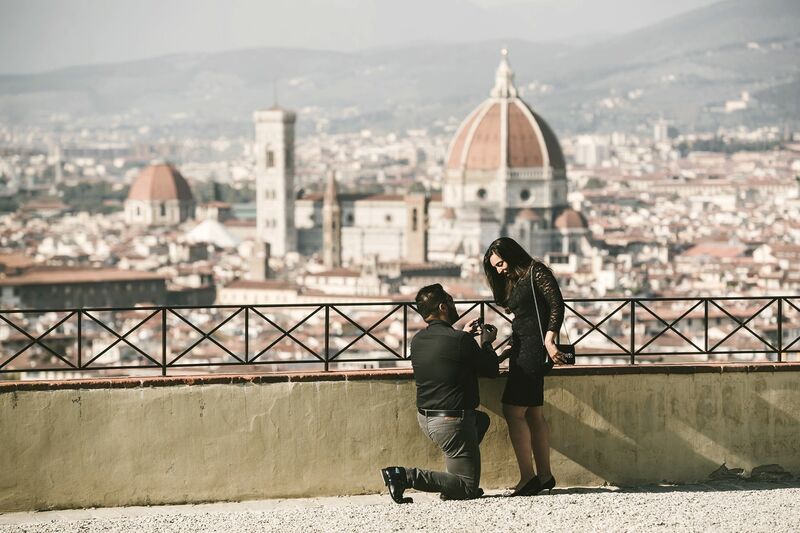 I explained him where to place and how to propose so that they would face the (hidden) camera. 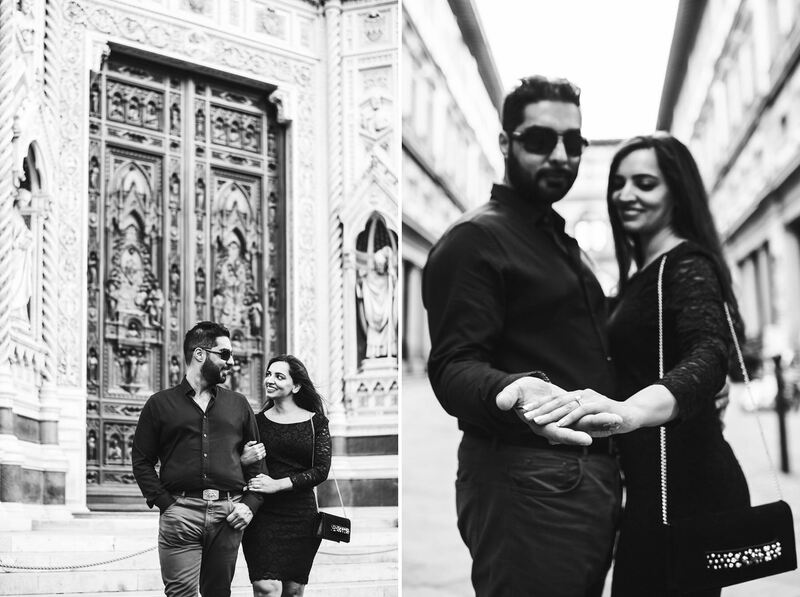 Everything turned out perfectly: maybe Gurpreet expected it to happen, but she was surely beyond happy about it! 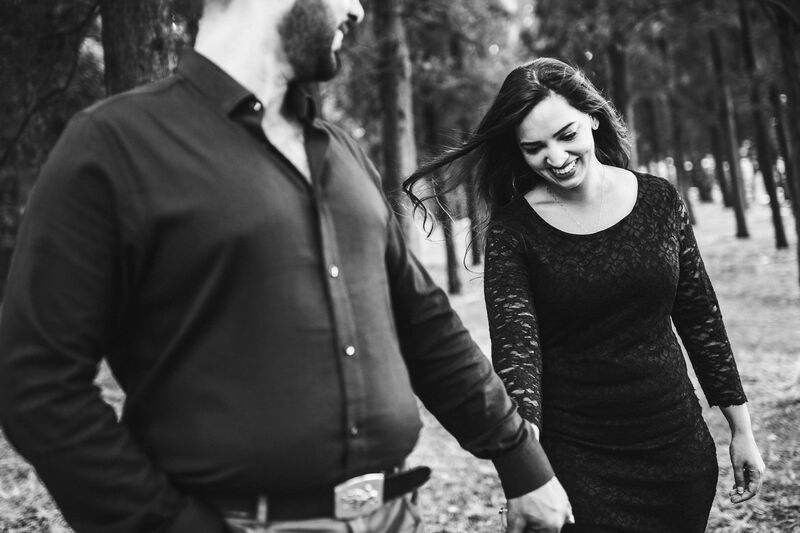 How could she be more joyful, after all? 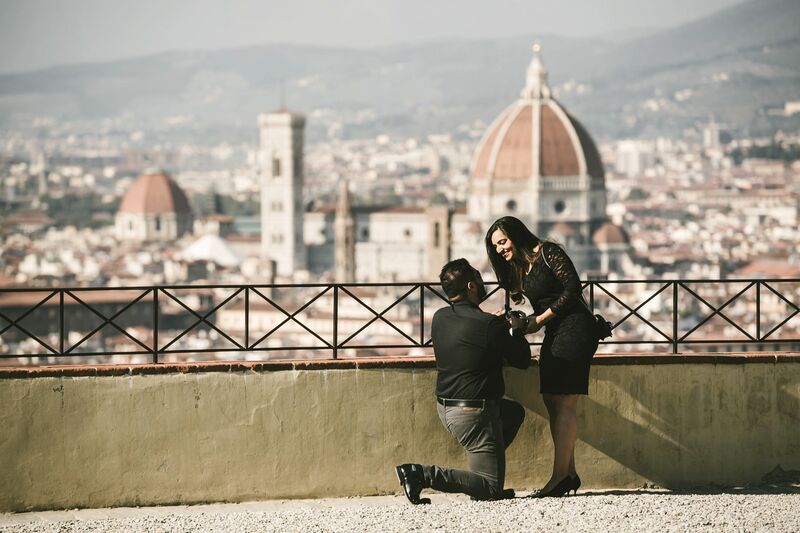 She was committing to her fiancé in front of an astounding view of Florence from San Miniato! 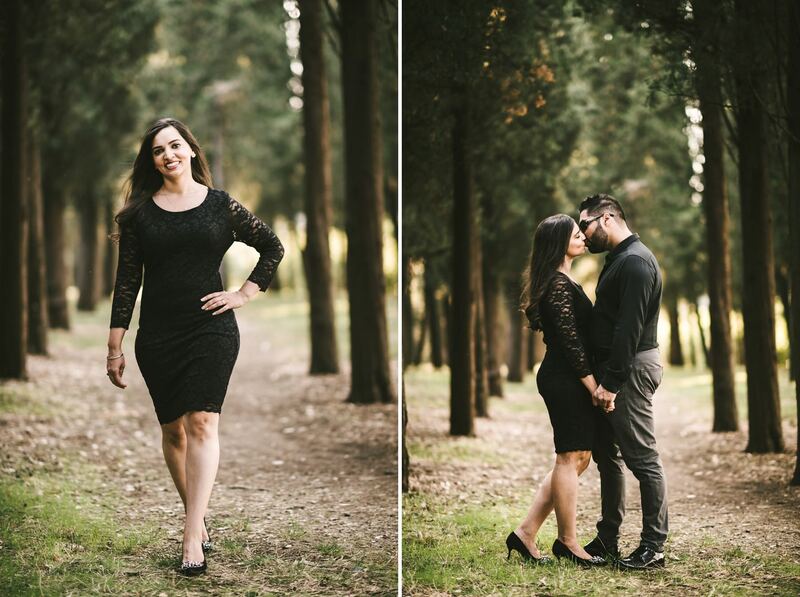 What she surely couldn’t predict was the presence of a photographer to capture that unique moment! 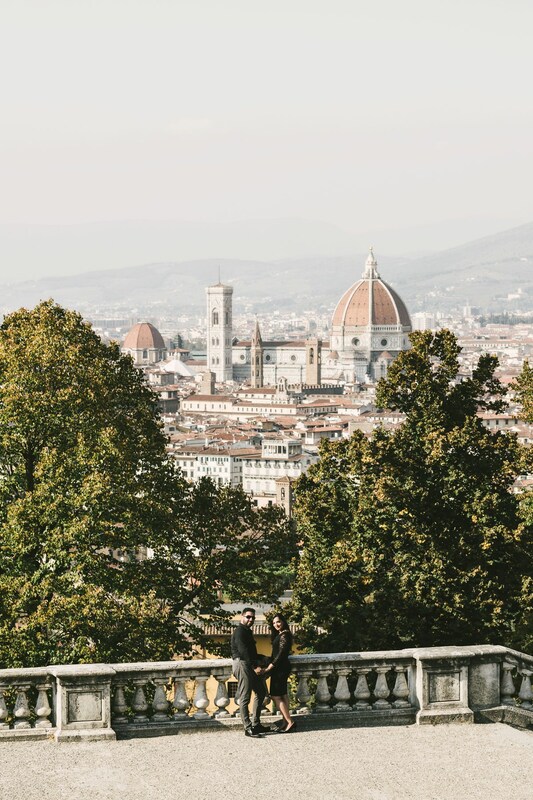 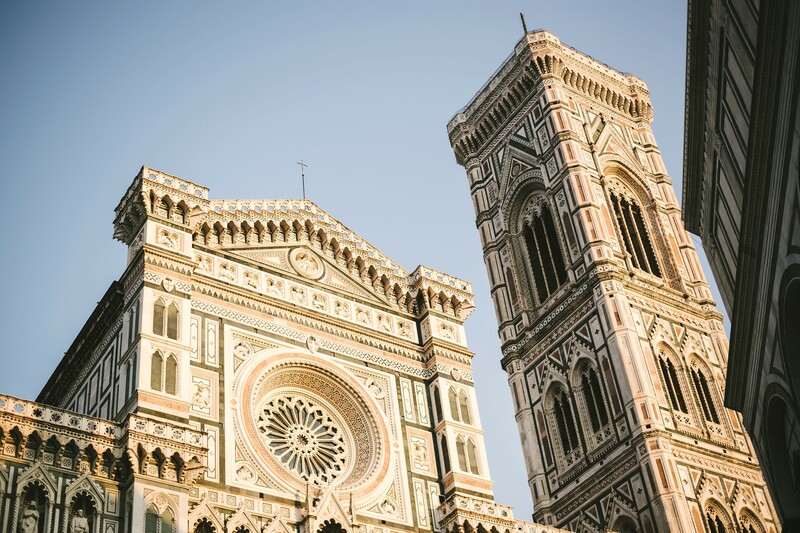 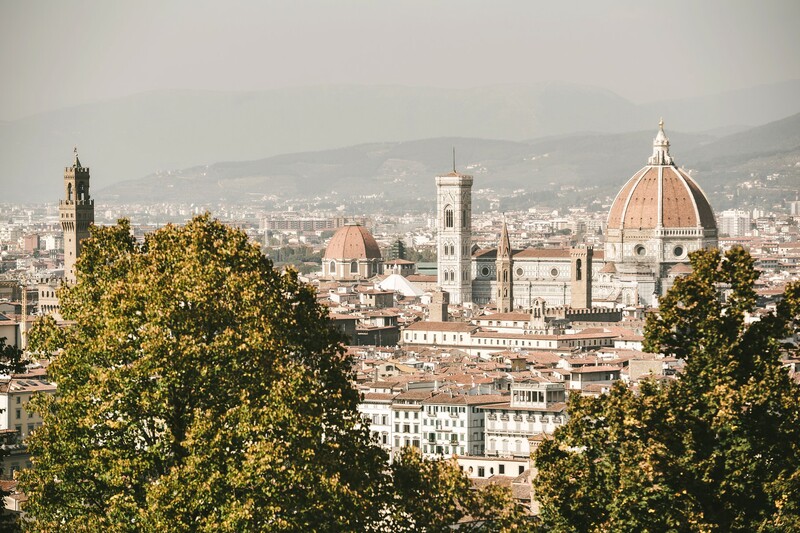 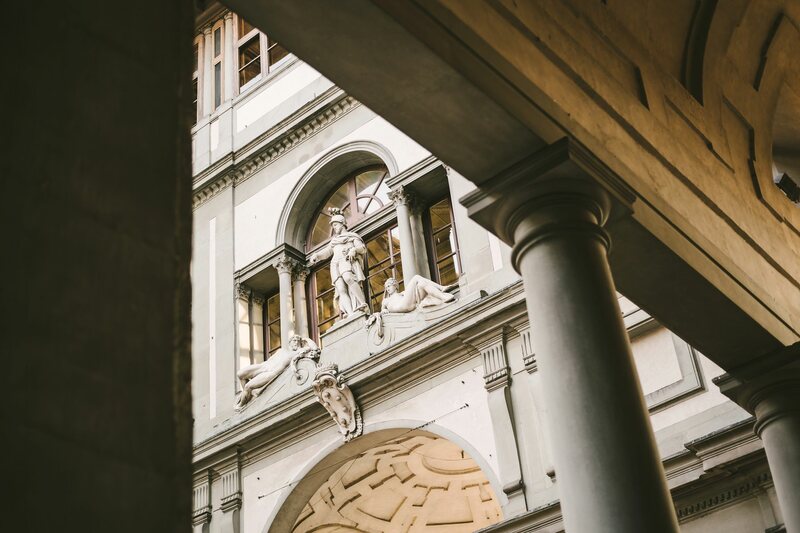 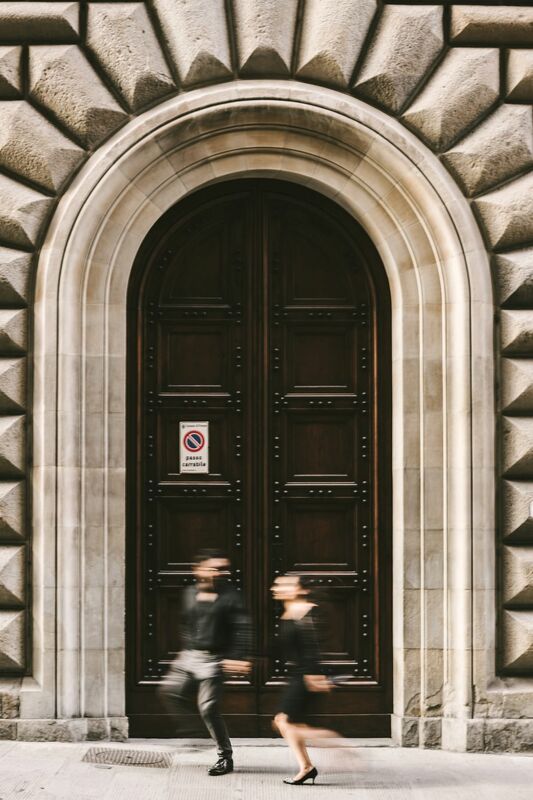 One more revelation, after the surprise wedding proposal – and one more thing that would make their journey to Florence absolutely unforgettable. 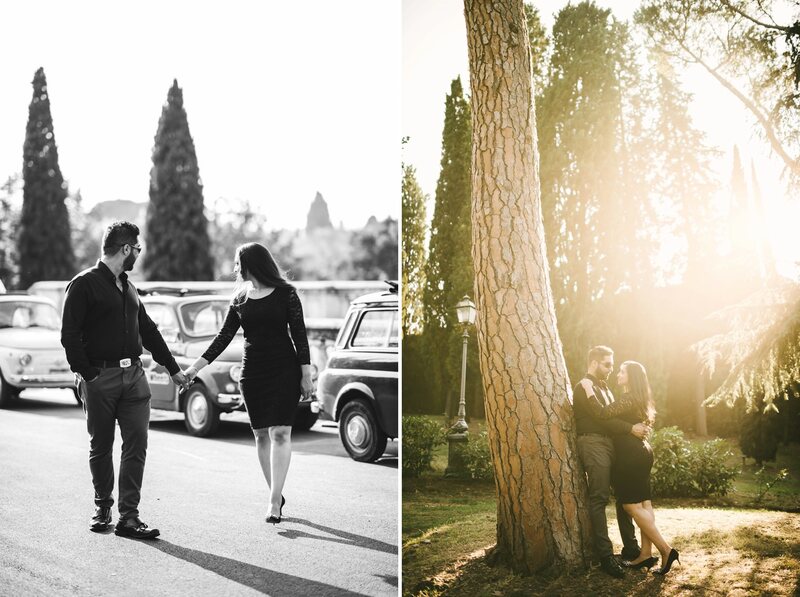 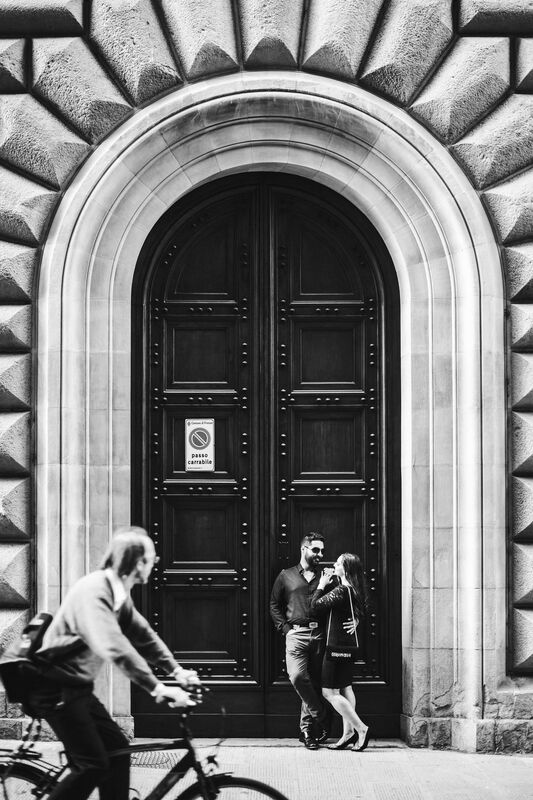 I was happy to be not only a photographer, but somehow also a guide that helped them discover some breathtaking spots of the city on that special day. 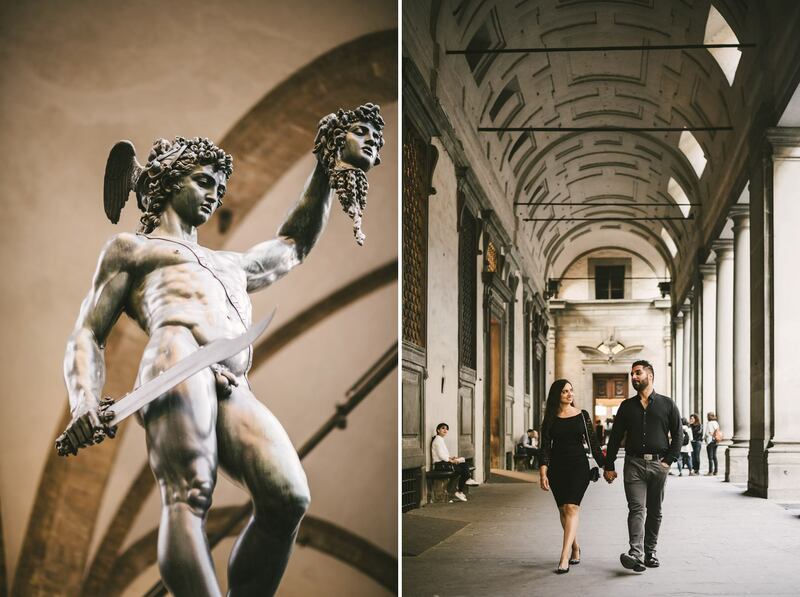 We walked around the city center, shooting emotional photos in all the most meaningful and fascinating locations of it. 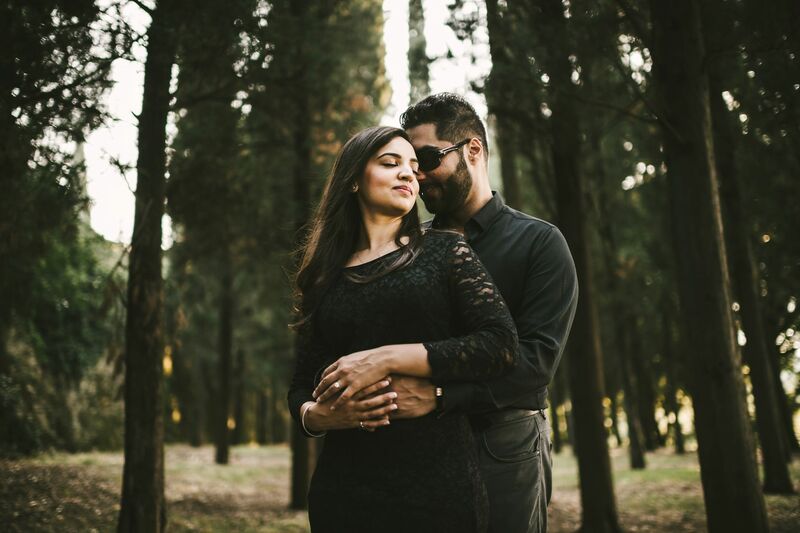 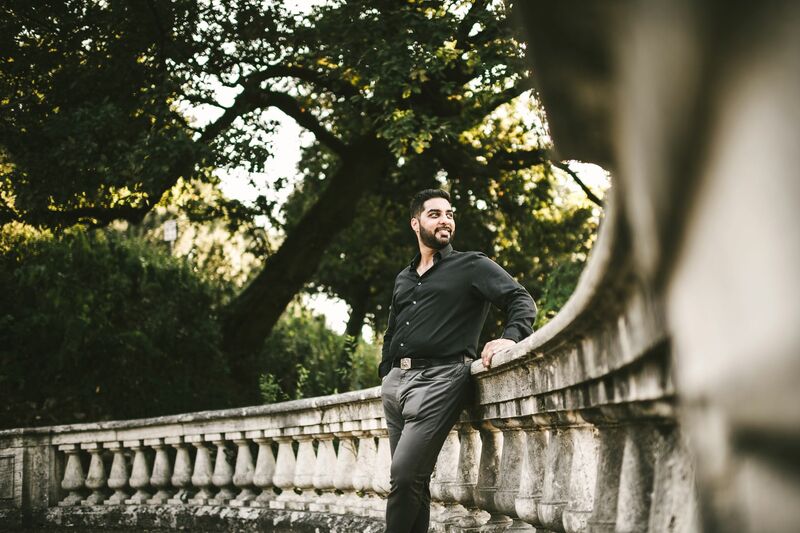 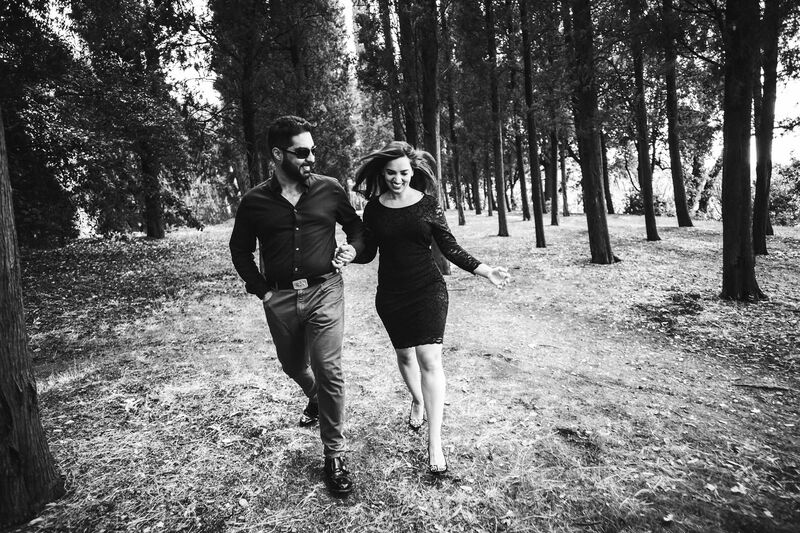 Gurpreet and Pavan’s love is the main character of the pictures, but it’s always surrounded by art, history and beauty – for an absolutely exclusive result to cherish forever. 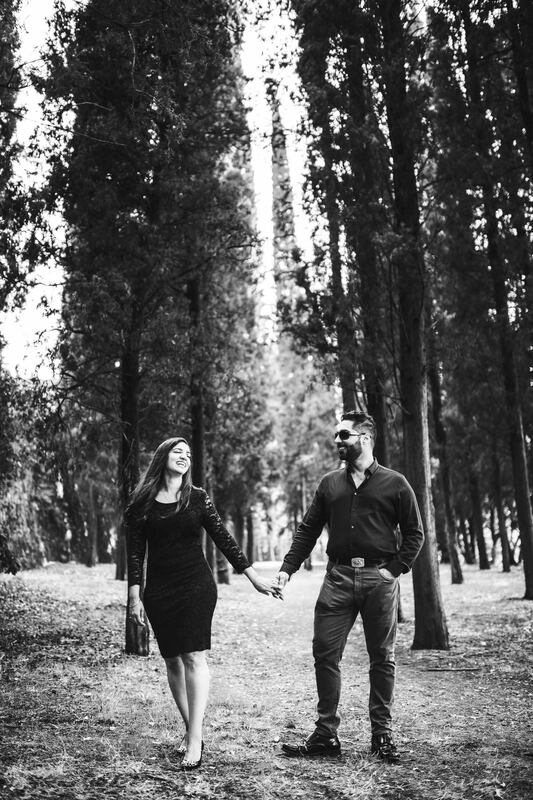 If you’re also planning a surprise wedding proposal, don’t hesitate to contact me: I would be honored to be part of that magic moment!